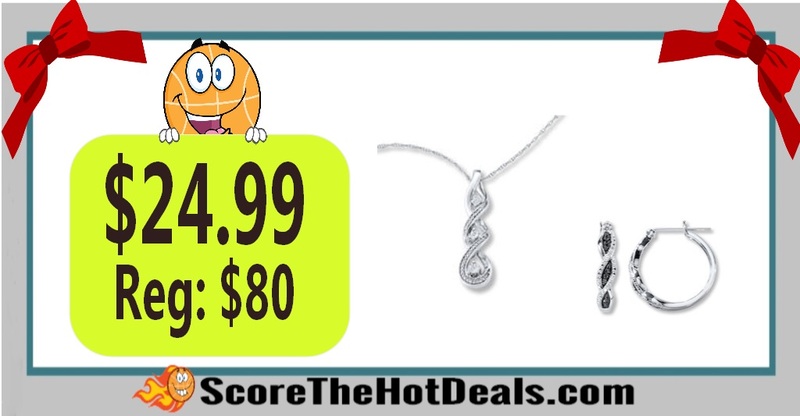 Kays Diamond Accent Necklace OR Black Diamond Hoop Earrings – ONLY $24.99! Beautiful! Hurry on over to Kay Jewelers while supplies last and score your choice of a Kay’s Diamond Accent Necklace OR Black Diamond Hoop Earrings for only $24.99! This is regularly $80 and shipping is free on orders over $50 or with Shoprunner or you can opt to pick it up for free! « Martin Smith Electric Acoustic Guitar – ONLY $29.99 SHIPPED!